Abraham Lincoln Vampire Hunter explores the secret life of Abraham Lincoln before he became President, and the untold story that shaped our nation. Visionary filmmakers Tim Burton (Dark Shadows) and Timur Bekmambetov (Wanted) bring a fresh and visceral voice to the bloodthirsty lore of the vampire, imagining Lincoln as history's greatest hunter of the undead. Based on the New York Times Best Selling novel by Seth Grahame-Smith, Abraham Lincoln Vampire Hunter stars Benjamin Walker (Flags of Our Fathers), Dominic Cooper (Captain America: The First Avenger), Anthony Mackie (The Adjustment Bureau), Mary Elizabeth Winstead (Scott Pilgrim vs. The World) and Rufus Sewell (The Tourist). The Blu-ray™ 3D and Blu-ray™ are loaded with killer content and hard action, including an exclusive never-before-scene animated graphic novel prequel about the origins of vampires in the U.S.A. When I first saw the commercial for this movie my expectations weren't too high, I wasn't sure if I would like this movie. So when I had the chance to review it I thought why not, let's see if I was wrong. Well the beginning of the movie and the middle of the movie was pretty good. 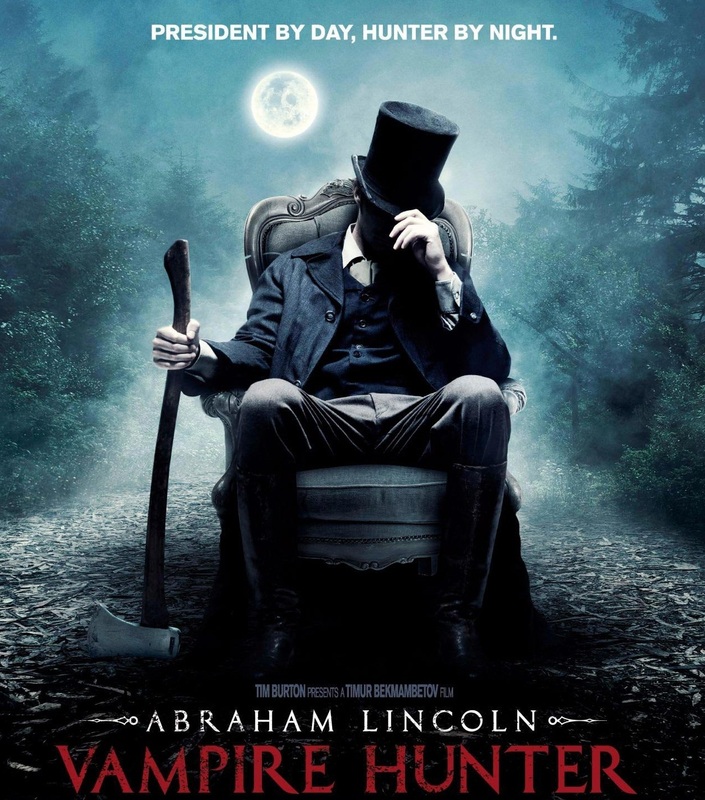 I was expecting the movie to be just about Abraham Lincoln in his young days and being a vampire hunter, but the movie goes on through his term of being president way until the day of his death. Now I like fighting scenes, but when the big climax of the movie when there was the big fight scene, seeing an older version of the president still fighting off vampires with ease as he did when he was younger wasn't as believable, but other than that I thought the movie was pretty good for what it was and that it tied in true facts about the president with great fiction about his days as a vampire slayer really well. Just in time for Halloween, find Abraham Lincoln Vampire Hunter in stores October 23, 2012. Disclosure: All opinions are my own. I received Abraham Lincoln Vampire Hunter at no cost for the purpose of this review. No other compensation was received. Hi, i feel that i noticed you visited my blog so i got here to return the prefer? .I'm attempting to in finding things to improve my site!I guess its good enough to use a few of your ideas!! Truly when someone doesn't understand afterward its up to other users that they will assist, so here it happens. Hi to аll, aѕ I am genuinelу eager of reading this ωebpage's post to be updated regularly. It includes pleasant information.